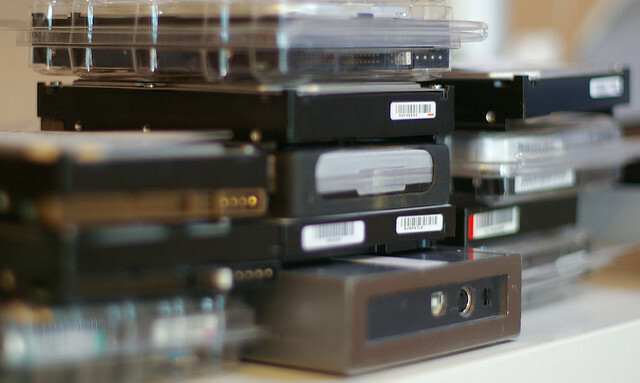 A cloud based backup solution has been gaining ground over the traditional hard disc drives. But not all cloud-based backups are the same. Make sure you find the right one with these tips. More companies are shifting to cloud-based backup storage devices to replace their traditional external hard drives. According to one study made by Kroll On Track, the number has increased from 18 percent to 23 percent. While traditional hard-drive advocates still remain the majority at 51 percent, that number has decreased from previous years. Those who had gravitated to the cloud cite accessibility and easy recovery of data. The risks are smaller compared to backup stored in physical spaces such as the hard drives and data centers. A cyber thief can break into a network server or a storm’s flood may engulf the physical office containing the IT structure, but the chances of disrupting cloud-based storage may be less in comparison. The backup files of your data stored in your cloud will remain safe. Before heading off to the nearest store or doing online shopping, however, there are five things you must consider before choosing a cloud-based backup storage solution. The right choice can maximize your resources, enable your new storage solution to function at optimal performance, and ensure business continuity with minimal disruption for a long time. The amount of storage you need at the budget you can afford: Business News Daily says that cloud-based storage providers offer space ranging from 1GB to one that is virtually unlimited. Admittedly this can sound enticing but you have to consider your own budget allocation and how much space you can reasonably purchase with it. A balance between these two – storage space and budget allocation – is a good first guide in choosing your suitable cloud-based provider. Scalability: Your storage will grow as your business expands. Again, this does not mean buying unlimited storage space. However, you have to plan how much space you will need in the near and far future, and why. At the same time, you also have to check into the kind of data expansion you will be investing in over the next few years. It is advisable to project your future data expansion now and what it will cost you in storage space and purchase, rather than be caught blindsided tomorrow. Businesses everywhere are being challenged to scale, and you cannot be left behind. The capabilities of the provider: As advised by CIO, ask any third-party cloud provider about technical issues such as the cloud’s bandwidth and its limitations, especially if you have several locations to cover. Probe about its capacity to recover lost data in turnaround time and the containment of damage. Ask for details how the cloud keeps the data of his customer secure from cyber hackers and other threats. Value for money: Business Bee recommends asking what you are exactly getting for your money’s worth. Some offer unlimited storage at a fixed but high price, while others offer less expensive plans that get bigger as you scale and buy more storage space. Make a comparison with other providers and determine which of them give them more bang for your buck. Customer reviews and other historicals. Do a lot of research before signing a deal. Read reviews posted by the cloud providers’ customers, both the satisfied ones and the disgruntled parties. If one of your friends had used that provider’s services, ask him about his experience: did the cloud provider deliver on the agreeables? How did it cope with emergency situations? Did its system require unnecessary costly upgrading for your IT structure? Finally, check into its financial background to see how solid they are, their profitability, and market position. All that will tell you how long the company been in business, their level of efficiency, and the relationship they have with customers like you. Don’t be quick to sign on the dotted line. Do your homework and remember the above tips as you look for a cloud-based backup provider. Choosing the right one will empower you to scale your business and expand your stored data at a budget you’re comfortable with.